Major Donors make a significant investment in helping Médecins Sans Frontières (MSF) fulfil its mission. This incredible support has helped us save lives through providing acute medical care to millions of people around the world. This allows us to help those people in genuine need, wherever it is in the world and whenever it is needed. 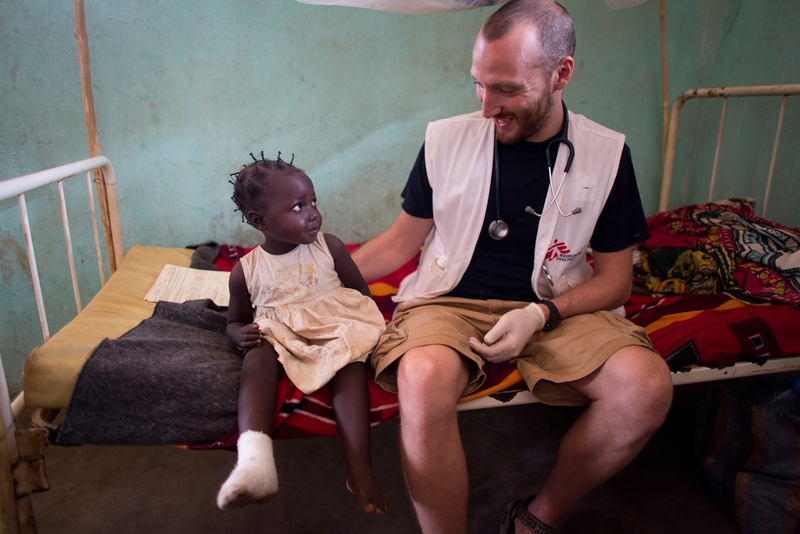 “I’ve worked with Médecins Sans Frontières since 2010, first in Chad and most recently during the Ebola crisis in Sierra Leone,” says Dr Gabriel Fitzpatrick. “I’ve experienced at first-hand how the generosity of our donors allows me and my colleagues to provide emergency medical care to those who urgently need it. Private funding from people like you allows MSF to respond quickly and independently, to carry out life-saving and life-changing work. On behalf of all in MSF, thank you"
At MSF in Ireland we pride ourselves on working hard to spend the maximum amount of your donation on our medical projects, helping people who need it most. If you'd like to find out more about making a donation over €3,000 as an individual, company, trust or foundation then we'd love to speak to you. Major Donors receive invitations to special Major Donor events and meetings with MSF staff members. There are opportunities for in-person and phone briefings on MSF's activities. In addition, designated staff who are available to respond to your questions and requests.